discussing genres lately, I feel like the subject of horror-- especially Christian horror--keeps coming up. Joshua Ellis, editor of the horror section at Christian Fandom.org defines horror as "Any story using fear, dread, suspense, or the grotesque as a plot device or theme can be considered horror." He continues, "Believe it or not, there are explicitly Christian horror books and movies available: books and movies written by Christians, for Christians, with overtly Christian themes. Indeed, many of you are probably familiar with Ted Dekker and Frank Peretti, two of the first Christian horror writers. 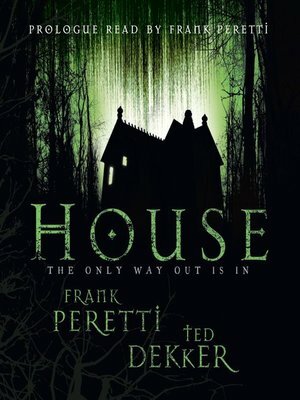 They teamed up to write House, which gave me nightmares and promises on the cover "The only way out is in." 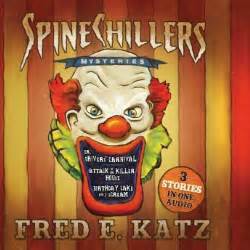 Fred E. Katz writes Spinechillers, a Christian counterpart to the elementary set's favorite Goosebumps series. Since I am a scaredy-cat, I rarely read or watch horror, and I feel like Christian horror is even more frightening, given its tendency to wrestle with dark spiritual elements and themes. However, Scott Derrickson, a film producer, said in a 2005 interview with Christianity Today, tha Christian horror deals more overtly with the supernatural and good and evil, and "is not about making you feel good, but is about making you face your fears." I can see the point of facing your fears to a degree, but I always wonder about the goal of horror. Is the end result supposed to be to use suspense to activate a sense of fear and dread? I don't think I would mind horror as much if it had a happy ending where God sent angels in to save the day, but would that still count as horror? Although I have always been intrigued by the idea of Christian horror, I think I will leave experiencing it to our braver readers! Interesting post, Erin! I'm with you - I've heard a lot about Christian horror, but never understood the appeal. I understand facing your fears to an extent, but for me that makes sense more with real-world fears. No need to introduce new fears by reading scary books! I'm not a fan of books focusing on horror or the grotesque either, Erin.